White Conveyors Stor-U-Veyor offers storage with slots. 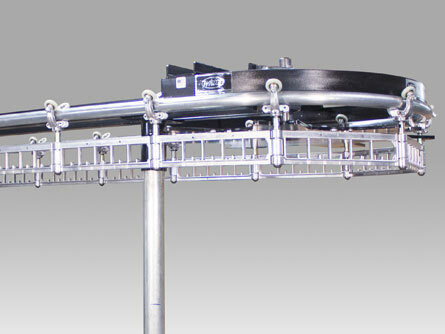 This is the most popular design of a conveyor. It offers convenient identification of garments in any numbering system. And the Stor-U-Veyor is operated manually with hand or foot controls; or automatically with a keypad. Die-cast aluminum frames, with 10 slots, 12" width, rust proof finish. * Intermediate models available in 10 slot increments (6" overall length with garments).